In costume party season, the pressure is on to host a fun, unique party. One idea for a fun party theme is encouraging your guests to choose a costume that starts with a specific letter of the alphabet. Allow guests to dress up in a costume related to their initials (or just their first names if you want to narrow their choices). Ask guests to dress up in costumes related to your initials. Choose one or two letters to inspire their costumes. These could be randomly or deliberately chosen. When you first send out invitations, it's possible that your guests will be confused about what you're asking them to do. 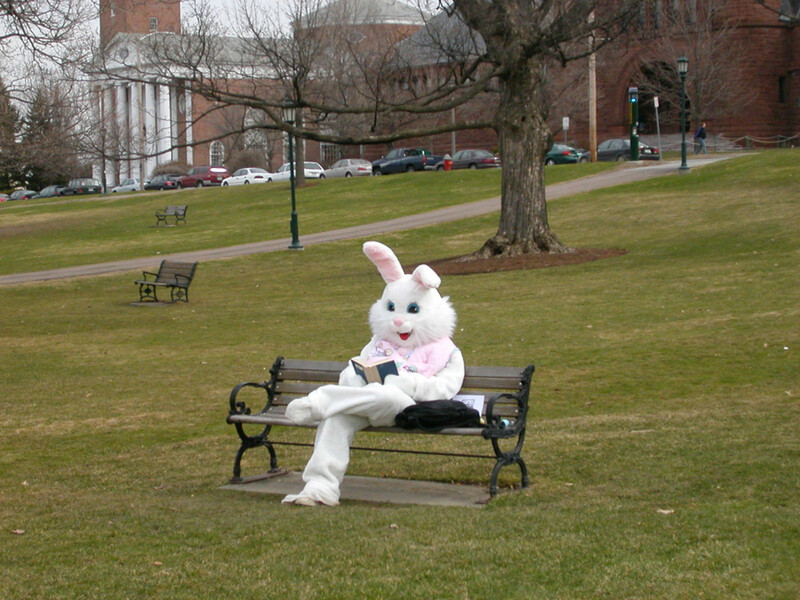 To avoid confusion, be sure to explain the idea thoroughly since if your guests are confused, they might not dress up. Even worse, they might skip your party altogether. This article will give you some ideas for costumes that start with the letter "L," some based on famous characters or people. If you have any other ideas, please put them in the comments box so you can help other people too. Lady Gaga — Lady Gaga is a recent pop star noted for her innovative and often outrageous style. Some of her more famous looks include a dress made entirely out of meat, a prison outfit, a dress that looks like a collection of bubbles, and a black-and-white harlequin inspired dress. You can find some of these looks available for purchase in stores or online. In addition to her highly designed costumes and makeup, she has a range of tattoos including one that reads, ‘Born this way’ on her upper thigh, an inverted peace symbol on inner wrist, and white daisy designs on her shoulder. Lady Beefeater — Beefeaters are the yeoman guards and keepers of the Tower of London, named beefeaters by the Duke of Tuscany in 1669. 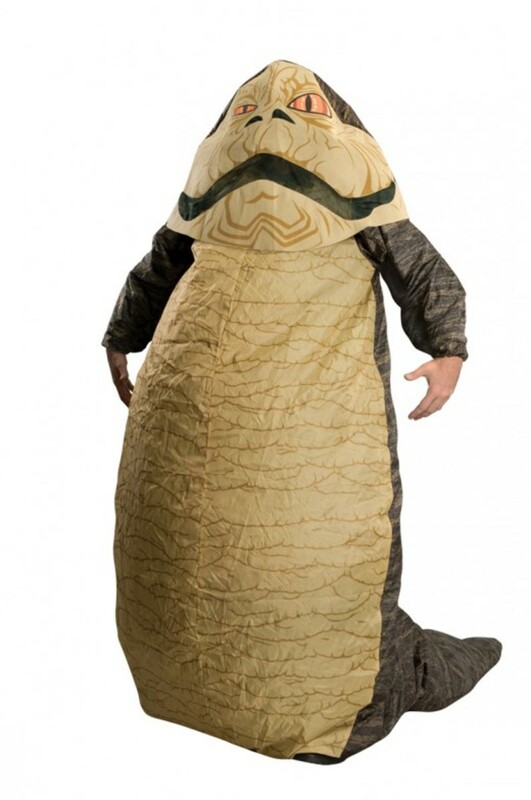 They are usually men, but for this costume you can have some fun and switch the gender. Wear a red coat with gold embellishments and an insignia, a flat black hat, and red tights. Lady Bracknell — This lady is one of the most memorable characters from Oscar Wilde's play, The Importance of Being Earnest. First and foremost a symbol of late Victorian and Edwardian culture, she is arrogant, ruthless, conservative, and proper. Wear a long Victorian dress with a high collar, a white decorated blouse, a large hat, and a parasol. Lady Brimstone — Lady Brimstone is a popular name for a female devil costume, or the devil's consort. To get her wicked look, wear a red dress with a collar, a belt, and red tights or fishnet stockings. Enhance this costume by wearing stylised makeup and carrying a pitchfork. Lady Caroline Lamb — The wife of William Lamb, novelist, and British aristocrat, Lady Lamb is best known for her tempestuous love affair with Lord Byron in 1812. After he rejected her, she became his stalker, frequently running after his coach, waiting outside his residence and, on one occasion, gate-crashing a ball blacked-up as his slave. To get her look, wear a long white lacy dress with an empire waist defined by a blue bow. Lady Emma Hamilton — This member of high society in the late 18th and early 19th century is best remembered as the mistress of Lord Nelson and the muse of artist George Romney. Get her look with a long brown wig and an early 19th century dress. Lady Godiva — Now a well-known brand of chocolate, Lady Godiva was originally a character from early English history. The wife of Leofric, Earl of Mercia, she is best remembered for her habit of naked horseback riding through Coventry in 1040. To get her look, wear a flesh coloured body stocking and a long blonde wig. Depending on the nature of the event, a hobby horse may be useful. 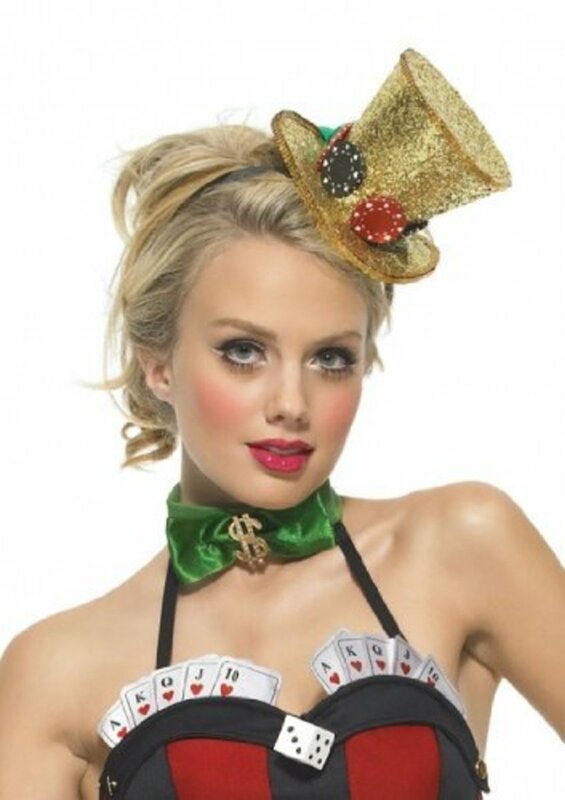 Lady Luck — Lady Luck is a fictional character that personifies luck and can be depicted in a number of ways. For example, you could include symbols of luck such as horseshoes and shamrocks or elements of gambling such as dice and cards. Lady Macbeth — One of the key characters from Shakespeare's Macbeth, Lady Macbeth is an accessory to the murder of Duncan the King of Scotland. After the murder, she is beset with guilt and experiences nightmares that cause her to sleepwalk and constantly try to scrub the blood from her stained hands. One way to get her look would be to wear a long nightdress with fake blood on your hands. Lady of Shallot —According to Arthurian legend, this pretty young maiden died of a broken heart after her love for Sir Lancelot was not reciprocated. In a painting from the pre-Raphaelite period, Lady Shallot is depicted in a white, airy medieval dress with long hair and a headband. 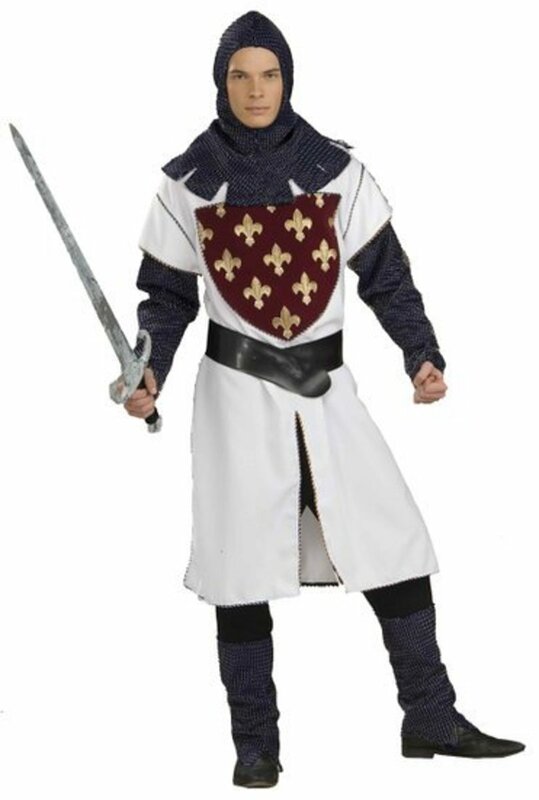 For a more modern play on words, you could dress up as a medieval shallot. Lady of the Lake — Another well-known character from Arthurian legend, this character has gone by several different names such as Nimue, Viviane, and Nyneve. Her costume is based on blue, green, and silver flowing fabrics which echo the color of the waters. Lady of the Lamp —This was one of Florence Nightingale's nicknames as she was famous for carrying an oil lantern when doing rounds at night to heal wounded soldiers. To portray this pioneer of modern nursing, wear a long dark dress, an apron, a nurse's headdress, and carry a lantern. Lady Pimpernel — The Scarlet Pimpernel is a play and adventure novel by Emma Orczy set in 1792 during the first stages of the French Revolution. Lady Pimpernel is the wife of fictional character Sir Percy Blakeney who is also known as the Scarlet Pimpernel. You could either wear a costume suitable for dress during the French Revolution, or a female version of the Pimpernel himself. Lady Viola — Gwyneth Paltrow portrayed this character in the film, Shakespeare in Love (1998). You could either wear a medieval dress with a long blonde wig, or dress up as a man to represent the male role she played in order to become part of Shakespeare's theatre troupe. Lancelot — One of the knights of the Round Table, Lancelot is considered to be one of the greatest and most trusted of King Arthur's knights — this despite the fact he supposedly had an affair with Guinevere. Wear chain mail, a fabric tunic, black trousers, a hood, and a helmet. Accessories such as swords and armour can complete your outfit. Lamb — Though this isn't a common off-the-peg costume, you can easily create it with a white fluffy top, trousers, and black gloves and socks to portray the hooves. Beware of using cotton to create the lamb's fleece as it is flammable. You can also use something called a face bop which is a headband with ears and a nose attached to it. Lamplighter —During Victorian times, lamplighters were responsible for lighting the gas lamps in the street at dusk. A poor Victorian costume will be suitable for this character. Land Army — During World War II, the British government established The Women's Land Army to do agricultural work in the absence of men who had been called away to fight. The women's work was hard and dirty. A typical outfit would be khaki breeches, dungarees, a blouse, a headscarf, and Wellington boots. Lawrence of Arabia — T.E. Lawrence, or Lawrence of Arabia, was a British officer renowned for his work in the Middle East prior to and during World War I. His life was depicted in the 1962 epic, Lawrence of Arabia, in which Peter O'Toole played the legendary officer. Wear a long white robe, sandals, and a headdress or turban. LAPD Motorcycle Cop — The Los Angeles Police Department motorcycle cop is best known from the T.V. series Chips. The band Village People also had an LAPD cop amongst its ranks. 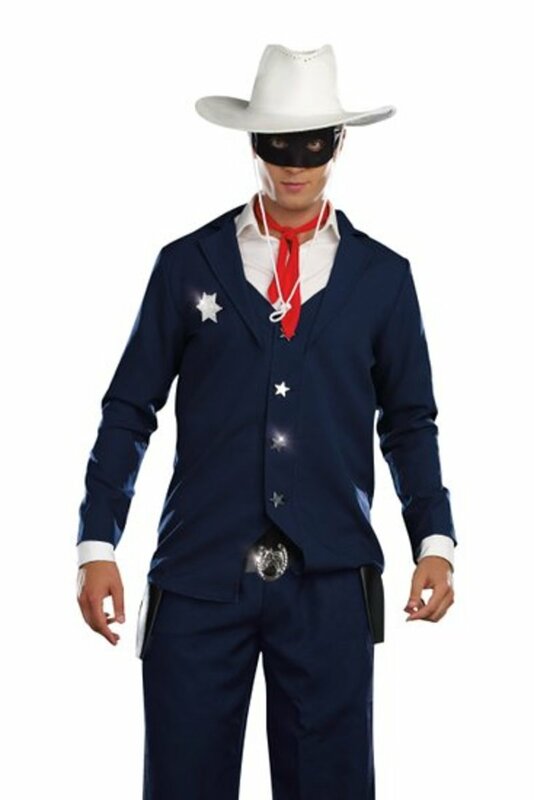 Wear a black leather jacket, a policeman hat, a badge, a belt, and black leather pants with boots to create this costume. Lara Croft — Originally a video game character, Angelina Jolie brought Lara Croft to life in the Tomb Raider films. She wears a green or black crop top, black shorts, and tall boots. Wear a gun holster on each leg and a long, dark plaited wig. Latin American Dancer — There are a number of Latin dances, each with its own costume. In general, you should wear something flashy and colorful that has lots of movement for showing off while doing tight turns on the dance floor. Frills, sequinned bikinis, elaborate headdresses, and slinky slim-fitting dresses are all good options. Laughing Policeman — The Laughing Policeman was a book originally published in Sweden by authors Sjöwall and Wahlöö. It was the fourth police detective novel in a ten-part series. The main character is Detective Beck, whose outfit comprised of a 1970s policeman's uniform. 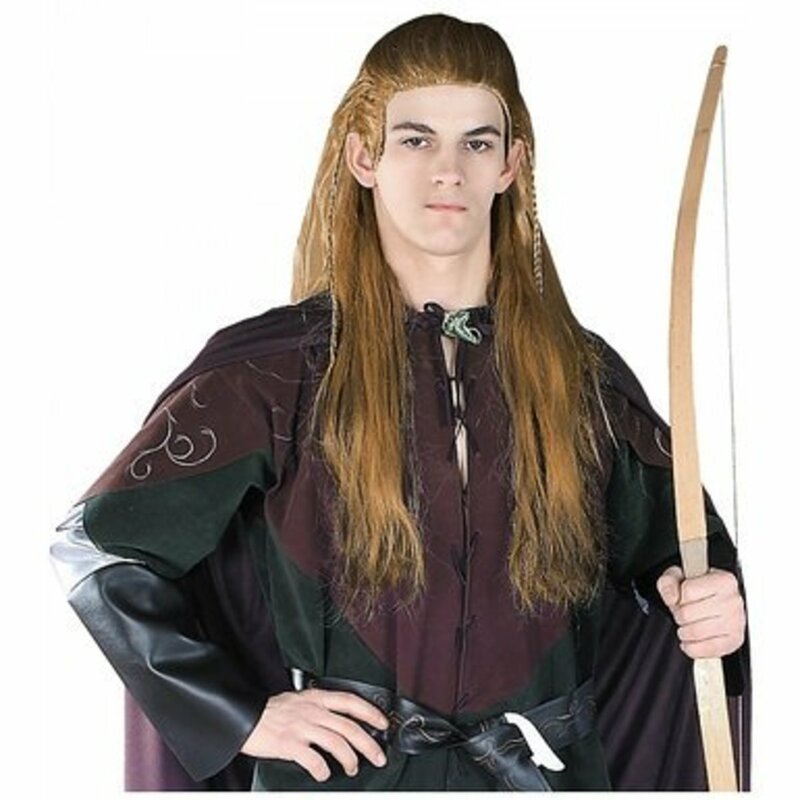 Legolas — Legolas is an elfin archer and one of the nine members of the fellowship in The Lord of the Rings. His costume consists of a brown or green tunic, dark trousers or tights, and a long blonde wig. Elf ears and a bow and arrow set would also be useful accessories to complete the look. Leeloo — In the 1997 sci-fi film The Fifth Element, Leeloo is a perfect being created in a lab to help prevent the world's destruction by the forces of evil. Create her futuristic and unearthly look with a white jumpsuit, orange harness accessories, and an orange wig. LEGO Character — Though you might remember LEGO bricks from the play dates of your childhood, this ever-popular toy is no longer just for kids. With the recent release of The Lego Movie (2014), a whole range of LEGO-themed costumes and characters has hit the market. You can go either as a character from the movie or someone from one of their many different LEGO collections. Leonardo da Vinci — This Italian artist, architect, inventor, and visionary almost needs no introduction. Two of his paintings, Mona Lisa and The Last Supper, occupy unique positions as two of the most famous. most reproduced, and most parodied artworks of all time. To go as the man himself, wear Renaissance clothing, a black hat, and a long wig and beard. It might also be fun to go as a couple's costume with a framed Mona Lisa. Leonardo — Leonardo is one of the sewer-dwelling heroes of the Teenage Mutant Ninja Turtles. 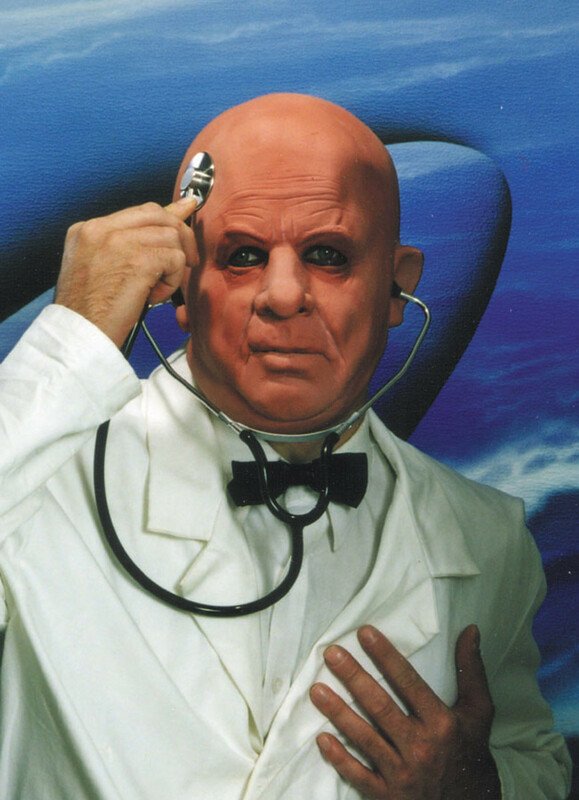 Wear green clothing with a yellow belly, a blue eye mask, and a leather belt to get his look. Costumes are also available for purchase. Leopard — To get this jungle cat's look, you could either wear a patterned fur or body suit, or paint your face and body. You could also purchase a face bop to help you fully create the look. 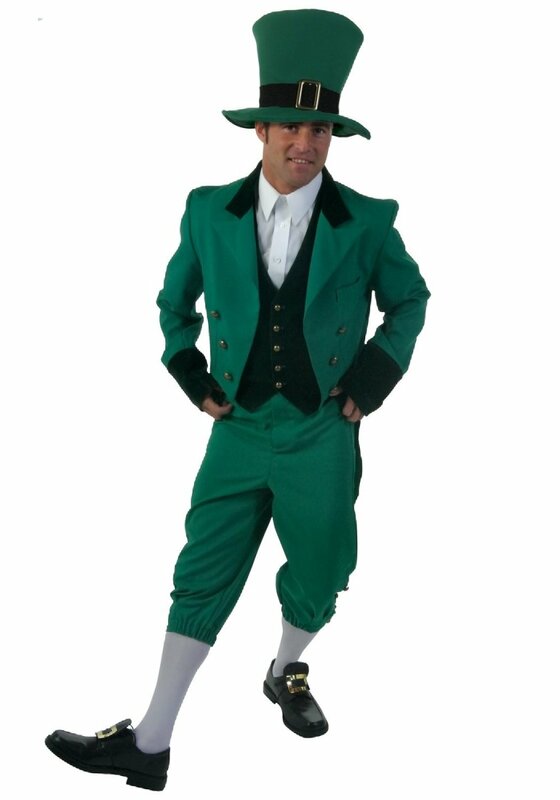 Leprechaun — Known for their devious nature and short stature, Leprechauns are often depicted dressed in all green with green trousers, a green waistcoat, a green jacket, and a tall green hat with a golden buckle. Don't forget brown boots and a ginger beard and hair! Accessories such as lucky coins or pots of gold can help complete your outfit. Lifeguard — To get the look of this classic summertime character, wear red swim trunks or a Speedo, a life saving device, a muscle tank top, sandals, and a whistle. If you want to go the extra mile, bleach your hair, cover your nose in copious amounts of sunscreen, and get a fake tan. Lily Langtry — Lily was an actress and producer from the late 19th and early 20th centuries. Famed for her beauty, she was known as 'The Jersey Lily.' Her costume consists of an elegant Edwardian evening dress, which should be available for hire. Lion — Not only are they the kings of the jungle, but lions also feature prominently in popular culture in productions such as The Lion King, The Wizard of Oz, and The Chronicles of Narnia. You can either put together a costume yourself with brown clothing, wild hair, and cat face makeup, or you could purchase a full costume. Lion Tamer — A lion tamer would make an excellent choice for a couple's costume with a lion. Wear a ringmaster outfit with a whip, a tailcoat, and a top hat. Mermaid — The Little Mermaid is a character originally from Hans Christian Anderson's book The Little Mermaid. In the well-known Disney adaptation, the mermaid is named Ariel and has long red hair. To get the look, you will need a mermaid tail or skirt, a shell bra top, and a long wig. House on the Prairie — This popular US television program featured the life and times of the Ingalls family as they made a life for themselves on the prairie. The main characters include Mr. and Mrs. Ingalls and their three girls, Laura, Mary, and Carrie. Wear pioneer and Midwestern clothing suitable for hard work in the field or at home. Boy Blue — Little Boy Blue is the shepherd protagonist of a well-known English nursery rhyme by the same name. To get his look, wear a white t-shirt, blue dungarees, and carry a horn with you to gather your sheep. * Daffyd — Daffyd was the only gay in the village and dressed in a tight red PVC outfit. * Vicky Pollard — Vicky Pollard is intended to be a parody of the lower class. She wears a dirty pink tracksuit. * Bubbles DeVere — Bubbles is an extremely obese middle-aged woman who lives at a health spa and will go to any lengths to avoid paying off her skyrocketing bill. Wear a bathrobe. * Andy and Lou — Andy and Lou are two of the longest-appearing characters on the show. Andy is supposedly handicapped and Lou is his caregiver. Whenever Lou's back is turned, however, Andy is capable of doing complex physical maneuvers. Andy uses a wheelchair and wears athletic trousers and muscle shirts and is bald but has long hair on the sides. Lou has frizzy, curly hair down to his shoulders and wears a leather jacket. Official costumes and wigs are available on the market. 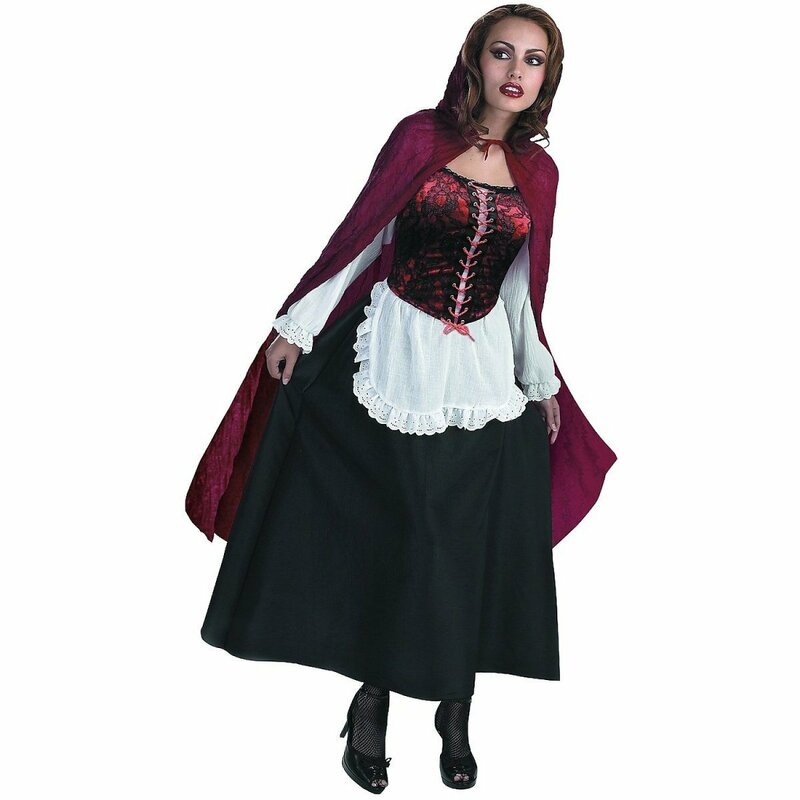 Red Riding Hood — This well-known character is originally from a Brothers Grimm fairy tale. There are now many takes on the costume with varying degrees of innocence, most of which comprise of red gingham dresses and a hooded red cape. Jack Horner — This nursery rhyme character is known for his exploits with a plum pie. Bring a prop pie with you and wear a bib. John — Little John is a character from the Robin Hood legend. His name is ironic because he's actually huge. Wear a medieval male peasant outfit and a fat suit if you're up to it. Match Girl — The little match girl is a Hans Christian Anderson character in a story about a dying child's hopes and dreams. Wear a tatty blouse and skirt and bring along a tray of matchsticks. Miss Muffet — Little Miss Muffet is a character from the nursery rhyme by the same name. She is normally portrayed as wearing a short dress with bloomers and a matching hat. Curds and whey may be a difficult accessory, but for a couple, you could find a partner prepared to be a spider. Nell — Little Nell is a character from Charles Dickens's novel The Old Curiosity Shop. Wear a Victorian skirt, a blouse, and a bonnet. Lone Ranger — The Lone Ranger was a 1950s television programme that featured the main character dressed in a white cowboy costume, a black eye mask, a holster, and a white cowboy hat. Liz Hurley — Liz is a British actress who is best known for her role as Vanessa Kensington in Austin Powers (1997), in which she wore a silver halter-top A-line dress and silver boots. She also played the Devil in Bedazzled (2000) in which she wore various outfits such as a red catsuit, a school uniform, and a policewoman getup. Long John Silver — Long John Silver is an 18th century pirate from the book Treasure Island by Robert Louis Stevenson. Silver's costume comprises of a tricorn, a crutch, an eyepatch, and a parrot on top of a basic pirate costume. Looby Loo — Looby Loo is a rag doll character from Andy Pandy, a British children's television programme from the 1950s. Her costume comprises of a spotted dress and striped socks, and she wears her hair in two plaits with doll makeup. 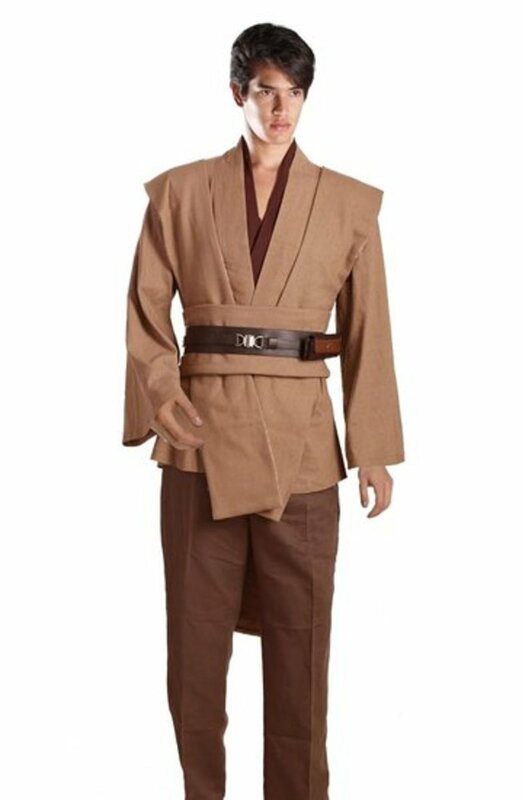 Luke Skywalker — Luke was the lead character in the original Star Wars films, and there are a plethora of costumes available to purchase or hire. In general, you'll need to wear a white tunic with khaki pants and a leather belt. Don't forget your light saber! Ludwig Van Beethoven — This famous composer and musical genius needs almost no introduction. Get his look with a standard frock coat, a cravat, breeches, and an ear trumpet to symbolise his deafness. Liza Minelli — Liza, daughter of Judy Garland, is an American actress most famous for her roles in Cabaret and Arthur. Her look from Cabaret is probably the easiest to put together since you only need a tailcoat, a leotard, fishnet stockings, and a bowler or top hat. Liza was known for her short, bobbed hairstyle and long, spiky eyelashes. Lulu — Lulu is a 1960s pop singer and actress from Scotland. One of her most famous hits from the 60s is the song, "Shout," which is now ubiquitous at most American weddings. To get her look, wear hotpants or short A-line dresses with a brown beehive wig. Lord Byron — Lord Byron is considered one of the most influential British poets of all time, known for his scandalous life as well as his work. To get this Romantic poet's look, wear a frock coat, a top hat, a cravat, and breeches. Louis XIV (of France) — This leader of France was eventually executed along with his notorious wife Marie Antoinette. Wear a Georgian costume, complete with a pale face, and an egregious wig. Louis Bleriot — Louis Bleriot was a French aviator, inventor, and engineer. In 1909, he became the first person to cross the English Channel in an aircraft. Wear an aviator costume with a very large, styled mustache. Have you been invited to an 'alphabet' party before? After reading this hub, would you now consider attending, or holding an 'alphabet' party? Costume Ideas Beginning with the Letter "D"
Haha! Excellent! I am definitely going to my next part as Leonardo Da vinci! I was just reading your various Lion ideas, and I could help but think of The Lion King - Have you seen the stage show? There are some EXCELLENT costumes in the production. Perhaps the key is to paint yourself gold, carry a gong and dance like a cross between a monkey and a crab. 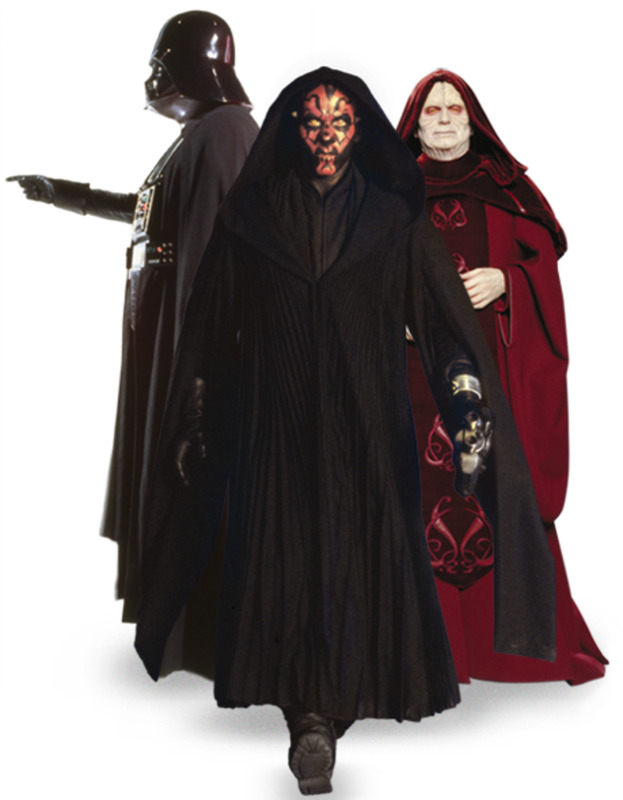 looser(L on the forehead),Leader, lego,leech. These av bin so much help!!! :p defo goin 4 tha laydiburd lol! It's all about lollipop lady, with the sign. fab! i am now officially going as red riding hood! Nice costume ideas. It is always fun to dress up in a male lederhosen costume during Oktoberfest too! I'd like to see a costume of Chewbacca and princess leia! Surely the best one at the moment is lady gaga. So much fun to be had there and if the rumours are true, a costume for men as well as women. Thanks for a fun hub. Another suggestion is Lady Liberty (the Statue of Liberty), wearing a toga and carrying a torch.